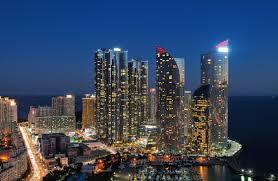 Over the years, Sydney Translations has become one of the leading Korean translation services providers in Sydney. If you need a Korean to English or English to Korean translation services, we’re here to help you. Our professional Korean translators are experienced in their own specialisations so whether your document is in the finance, medical, technical or legal field; we have the right translator to take on your project. In seven years, we have translated thousands of Korean translations to thousands of satisfied clients. Our team of Korean translators are NAATI certified. Our translations are 100% guaranteed to be accepted in all official purposes in Australia including submission for visa application on the Department of Immigration and Border of Protection (DIBP), university applications, passport applications, job applications and divorce application in the Federal Court. NAATI is the sole accreditation body and national standards for translators. Working with a Korean NAATI translator ensures that your translation conforms to Australia’s translation standards. Whatever Korean translation services you need, Sydney Translations’ has your back. If you require a Korean NAATI Translator, we are here to help you. Sydney Translations is the most affordable Korean translation services in Sydney for NAATI certified Korean translations. Our standard documents are priced at a per page rate starting at $69 per page. Send us your document using the online form so we can assess it and provide you with an exact Korean translation detailed estimate. 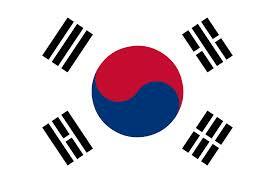 For business Korean translation services, translations are priced at a per word rate. Complete the quote form on this page, and we will email you the exact quote within 15 minutes! How can I start getting my document translated? Follow the five easy steps below to get a Korean translation. Fill in your details in the enquiry form. Attach a photo or scan of your document. Check your email; we will send you an exact quote in no more than 15 minutes. Complete your payment through Paypal, credit card or bank transfer. We will email you a Korean translation once your document is finished. Let us know if you need a certified hard copy; we can send you one by post. Easy and simple. You don’t have to come to our office; you can send us your document and receive the translation online. When can you complete my translation? For Korean to English and English to Korean translation services, we offer both standard and urgent Korean translation services. For standard, our Korean NAATI translations can finish your translation in 2 to 3 business days. On the other hand, if you are in a hurry, we can complete your translation within 24 hours. Just let us know your deadline via the Live Chat or the translation form. Do note that the deadline affects the price of the translation. You can contact our customer support anytime via the Live Chat. When you’re in need of urgent Korean translation services, we can help you. All of our translators are NAATI certified, so you’re assured that you will only receive the best Korean translation services. The Korean language in North and South Korea has some small differences. For example, the South has borrowed words from the English and Chinese language while the North has kept their language free from any loan words. Unlike the Japanese and Chinese characters, the Korean writing has a combination of letters and sounds that create a syllable. The language has an honorifics system that changes the words to be used in a sentence. The plural and singular nouns are almost similar to each other. The phrase’s context us what will indicate if the noun is plural or singular.